TRICARE insures about 9.5 million U.S. uniformed service members, retirees, and their families. Brighton is proud to support the brave men and women of the U.S. military in Intensive outpatient (IOP) and/or Partial Hospitalization (PHP) treatment in South Ogden! The staff at Brighton Recovery Intensive Outpatient are passionate about providing an individualized approach to treating those who are struggling with addictions and underlying mental health disorders. 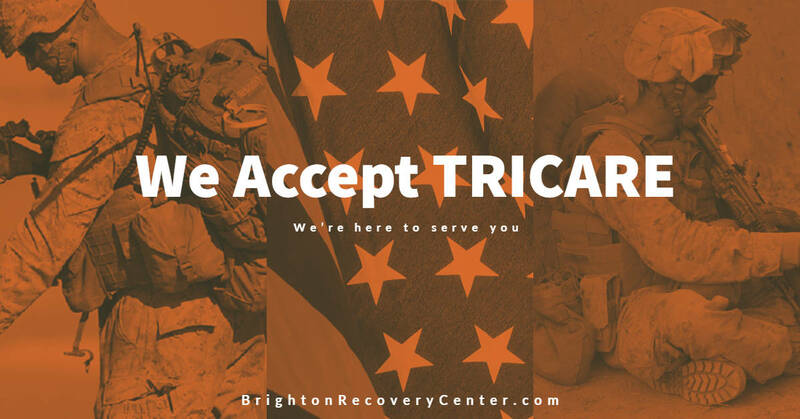 With substance abuse in the military on the rise, being in-network with TRICARE allows Brighton to join the fight. Brighton is also in-network with Select Health, EMI, PEHP, Beacon, and Humana. More information on Brighton’s customized dual diagnosis treatment can be found here.